One of those that will eat this day. 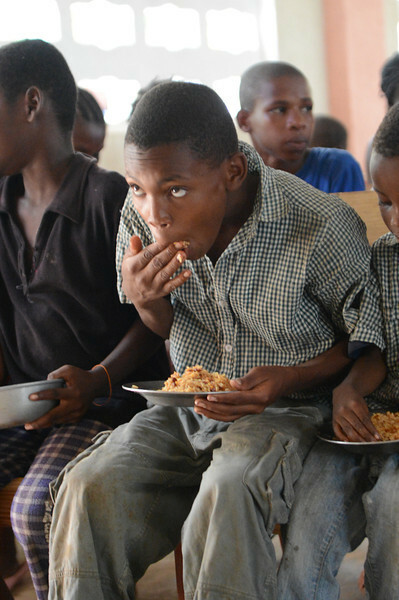 Each day they determine how many children they can feed and allow that number of children inside the church. Each child brings their own bowl. There are always children left outside because there is just not enough for everyone.